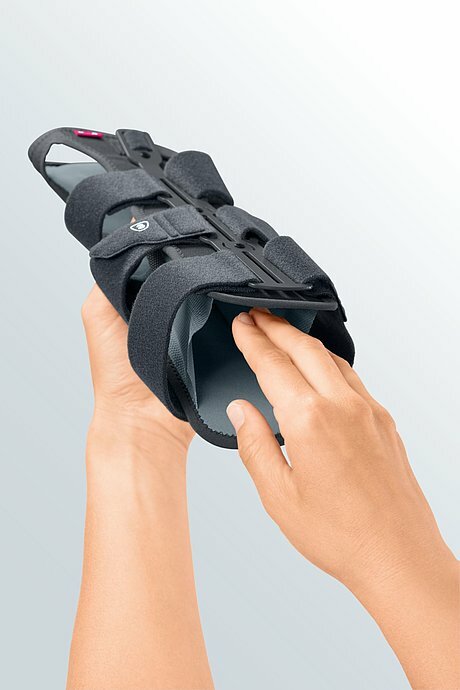 The orthosis combines maximum stability with a high degree of comfort in wear. Manumed RFX provides a high degree of immobilasation and is an effective alternative to traditional plaster casts. Manumed RFX is suitable for use on fractures of the distal radius and forearm as well as all indications that require stable immobilisation of the wrist and/or forearm. 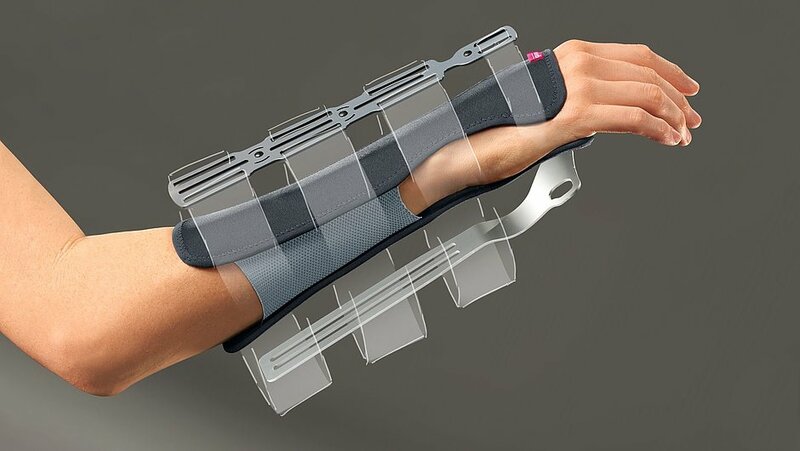 Immobilisation and stabilisation of the wrist and the forearm by a volar and dorsal aluminium splint. The initial fitting should be supervised by a healthcare professional. The aluminium splints have already been anatomically pre-shaped. If necessary, the volar splint may be removed and easily adapted to different hand and arm contours. 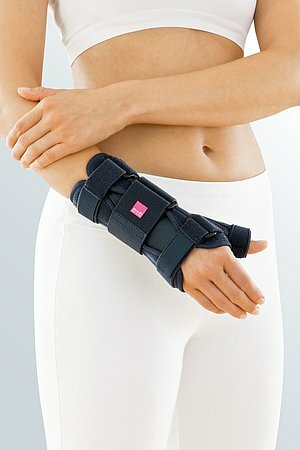 The dorsal splint may be adapted directly on the brace. Slide your hand into the brace. The straps have been set to maximum width at delivery and usually do not have to be opened beforehand. Close all straps one after the other in the numbered sequence from 1-4. Belts 2-4 have been secured with double-sided hook and loop fastener to the brace and may be shortened to the desired length. Finally, check that the brace fits properly. It should be positioned firmly and straightly on the arm without it cutting in. It should be possible to sufficiently move all the fingers. Only wearing the Manumed RFX consistently will support the therapy. Close all hook and loop fasteners before washing and remove the lower aluminium splint from the pocket. Soap residues, lotions and ointments can cause skin irritation and material wear. Wash the product by hand, referably using medi clean washing agent.Do not bleach. 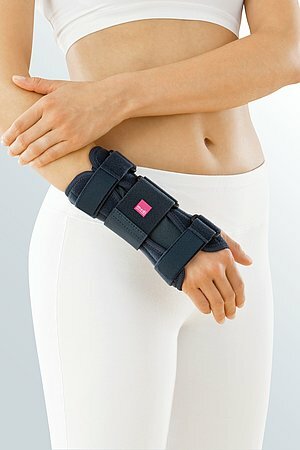 How to use our Manumed RFX wrist and forearm supports. Date of issue: until November 2017. 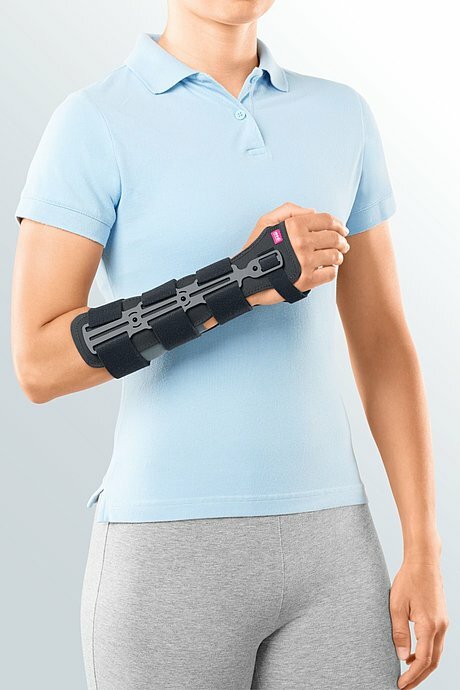 How to use our Manumed RFX wrist and forearm supports. Date of issue: until June 2018. 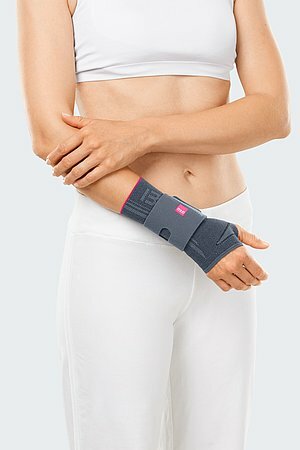 How to use our Manumed RFX wrist and forearm supports. Date of issue: from June 2018.